6 Essential eCommerce Stats In Time For Christmas. Finally, December is upon us which means only one thing...Christmas! The time of year that consumer spending rockets and sales boom. However this isn’t like any other Christmas, no, this ladies and gentlemen, is 2018. After an incredible year in the development of technology, we’re set to see the highest ever amount of online purchases for the festive season. This is your chance to rake in the cash, or should I say online transactions, like never before. But are you ready? Here are 6 Essential statistics to aid you this year. We've all been there, after a stressful shift of online shopping, you've finally chosen the product you're getting your loved one and you need to buy it quickly before you let your eyes wander across to the extortionate price and delete it from your basket without a second thought. You've got to checkout, then bang! You're smacked across the face by extra shipping cost and tax. What do you do? Exit the site and look somewhere else. Price transparency is a MUST! Another all too familiar scenario for the online shopper, you've got minutes to spare before your loved one barges into the room, see's their present on the screen and Christmas is ruined. As you head to the last step of your online transaction you relax, ready to pay, but then it pops up, the dreaded box: 'Sign In or Create Account', you're eyes widen as they search rapidly for a 'continue as Guest' but alas, it is nowhere to be seen. Again, you exit the site in search of a quicker solution. We already know video is the future of marketing but this stat tells us that if you bring your A-game to video marketing this Christmas you're guaranteed to see a boost in in-store sales. Don't have a store? If your product, and it's video, are good enough, sales are bound to flood in online too. As I said earlier, 2018 has been an incredible year for technology. With software and hardware reaching advanced levels, companies like Adobe, Apple and Tesla have dominated their respective markets and the eCommerce market it almost unrecognisable from just a few years ago. With revenues set to reach almost $700 billion if you've not got an online store, NOW is the time to look into investing. Here at Website Success, we offer bespoke eCommerce sites. Whilst we all love a Christmas themed website, be careful this year. If you're loading time increases due to new festive features on your homepage, you may be on Santa's naughty list as if it's taking longer than 3 seconds you're losing almost half of users. This percentage only goes up as loading time increases so keep that in mind. 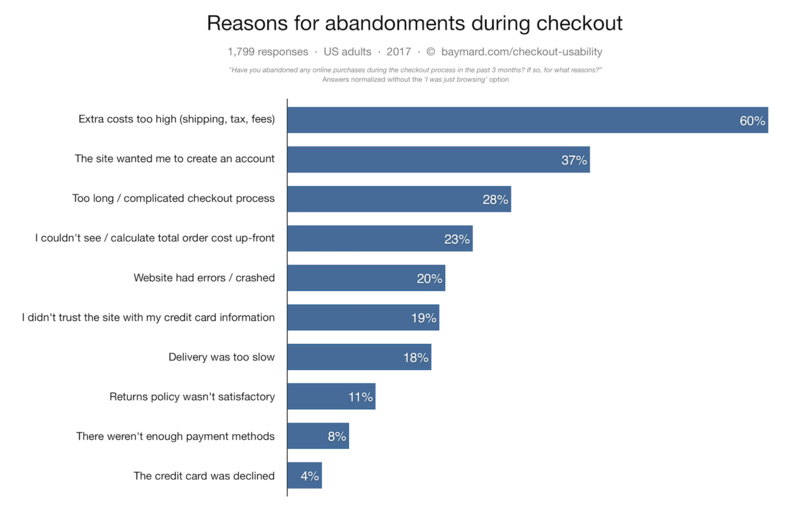 In homage to most of these stats, it seems the checkout process is the make or break when it comes to eCommerce. Now is the time to act and improve your checkout process from design to functionality and take advantage of the online Christmas market surge. Here at Website Success we offer a number of services which will boost your business this Christmas from Social Media Marketing, eCommerce websites, Website & Graphic Design and more here.